KineMatik, is delighted to once again sponsor OpenText’s annual event, Enterprise World, where attendees will get an opportunity to speak with the KineMatik team and see, first-hand, the latest KineMatik solutions for Content Suite. KineMatik will officially launch the latest Application, Document Change Control, in a series of Quality Management System (QMS) Applications for Content Suite as well as a new version of all existing QMS applications. KineMatik QMS – Document Change Control, which ensures controlled management of all document changes (e.g. SOPs, design specifications), will be shown for the first time at Enterprise World. In the latest version of KineMatik Project Management you can now enable Project Management functions within Connected Workspaces to manage your projects including Gantt Charts, reports, utilisation and more. The latest version of KineMatik Publisher and KineMatik ELN now support Content Suite 16.2. October 8, 2013 - KineMatik is pleased to announce that it will sponsor OpenText Enterprise World 2013 in Orlando, Florida from November 17-21. Please join KineMatik and Blaze Systems for a first look at the new KineMatik LinkLab tool to integrate the KineMatik Electronic Lab Notebook with diverse LIMS and other laboratory systems to save time and money through automation. 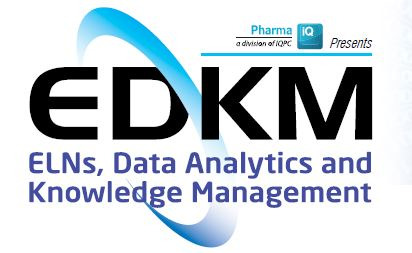 EDKM is the only event dedicated to the next generation of lab informatics applications and building a searchable, shareable database to improve decision making and efficiency in R&D laboratories. Chicago, IL. – March 1, 2013 – Today, KineMatik announced that a recently released report from technology research company Gartner, KineMatik is recognized in the Electronic Laboratory Notebook (ELN) field having achieved the highest ratings of all 21 ELN vendors in its category included in the report. KineMatik will be sponsoring and attending SmartLab Exchange 2013 in Munich, Germany on February 26 and 27.